On Friday morning, a Glendale police officer responded to calls about two aggressive pit bulls on the loose in a neighborhood. 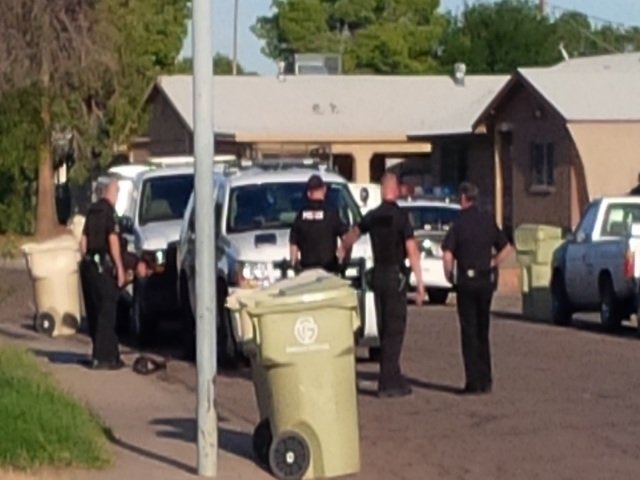 Upon arrival, the officer saw one pit bull roaming around in the area of 63rd Avenue and Cavalier Drive. The dog did not initially approach the officer, so animal control was called to respond. Police report that the officer then began knocking on doors to locate the owner of the dog. During this process, the unprovoked dog became aggressive towards the officer and began growling. The pit bull charged the officer, and the officer was unable to escape. The officer pulled his weapon and shot the dog, police said. No one in the neighborhood claimed the dog and animal control removed the animal.